I recently had the opportunity to be in New York for a launch event to introduce new products in the John Frieda Root Awakening Hair Care line. The new products include three new formulas designed to restore strength, deliver natural looking style, with touchable hold. You can now nourish and purify hair from roots to tips in 7 days…guaranteed. 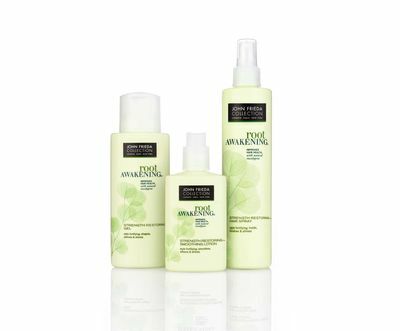 By infusing hair with nourishing ingredients such as natural Eucalyptus, the new Root Awakening products help to nourish, strengthen and promote a healthier appearance to the hair. I've been using this new line and have been really pleased with the products. Because I color and flatiron my hair, I need products that add strength and conditioning. Root Awakening Strength Restoring Hair Spray – My favorite product, this non-aerosol hair spray delivers a lightweight formula that goes on like an aerosol, but has real holding power. I love it! Harry Josh, International Creative Consultant for John Frieda brands explained how he has utilized all of these products on his clients for recent red-carpet events. "I love the new Root Awakening styling products because they deliver great hold and manageability. I use the Smoothing Lotion as a prep step, then scrunch hair with the Gel (without the "crunchies" usually associated with gels) and finish with the Hair Spray." each) is available now at food, drug and mass retailers. You can also locate retailers near you by using TheFind! The 411 on Glamorous Holiday Hair! Get the Look: Rose Byrne’s Red Carpet Hair and Makeup at the 84th Academy Awards! You’re invited! 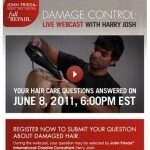 Damage Control Webcast with John Frieda Int’l Creative Consultant Harry Josh! 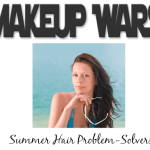 Great blog, so many tips for caring our skin, face and hair, Loved reading your blog…Really awsome..
My hair was frizzy and damaged as i used flat iron a lot. And I was really depressed, But Framesi helped me and my hair became easy to manage and style.